Take control of your entire credit and financial picture all in one place. 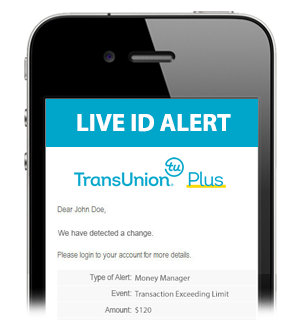 Your email address will additionally be used as your login to TransUnion Plus. Your password must be between 8-16 characters in length and contain only letters, numbers, period, asterisk, underscore, dash and @ sign. 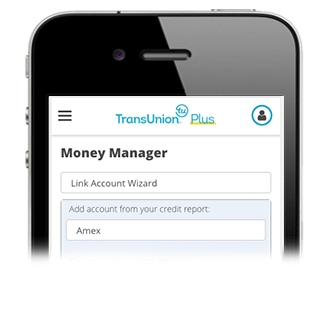 Offer Details: Your FREE TransUnion Credit Score & $1 Credit Report are available as part of a 7-day trial of our subscription-based credit monitoring service. You may cancel at any time during the trial period. At the end of your 7-day trial, you will be billed at the low cost of only $19.95 per month. A simple way to track your spending, savings and net worth. View your daily transactions from all your accounts. 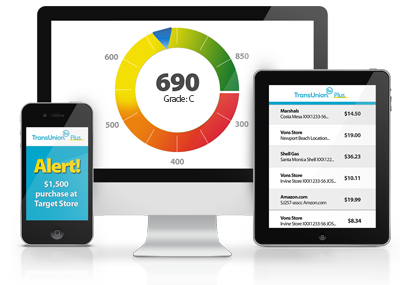 See your VantageScore® 3.0 Credit Score by TransUnion. 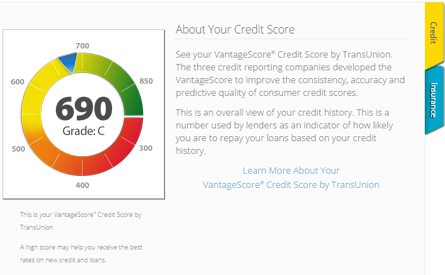 The three credit reporting companies developed the VantageScore to improve the consistency, accuracy and predictive quality of consumer credit scores. Under the Credit Score Tab you'll also get your Insurance Score. It's simple and there is nothing like it! Help guard your money, credit and identity. Alerts of critical changes to your credit report or financial accounts that may indicate possible identity theft to your phone and email. It's simple and it's a great protection! Get notified right away about important activity taking place with your Money, Credit or Identity. It's simple and fully integrated. One login! Available: Monday - Friday 9AM - 9PM EST.